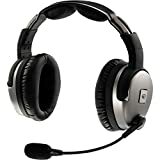 The Lightspeed PFX ANR Headset is Lightspeed Aviation’s high end entry into the general aviation wired headset market. It improves upon the existing lineup of Lightspeed ANR headsets by adding a more sophisticated noise reduction system into the mix, which should greatly reduce ambient noise while wearing the headset. The Lightspeed PFX controller takes 4 batteries and is by all accounts a “power hog”. This thing is truly a super computer among ANR controllers. All-metal construction and kevlar-braided cables. Enhanced, “streaming quiet” ANR adapts to your surroundings, providing a better sound cancellation experience. Switches on controller box allow you to adjust ANR sensitivity in flight. 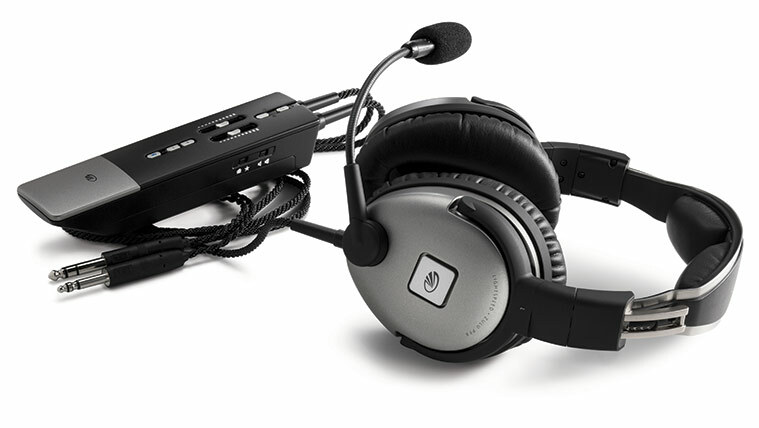 Headset boasts enhanced configurability with the FlightLink app. The clear differentiator with this headset is it’s “streaming quiet” ANR, which claims to adaptively adjust the active noise cancellation to the external environment. 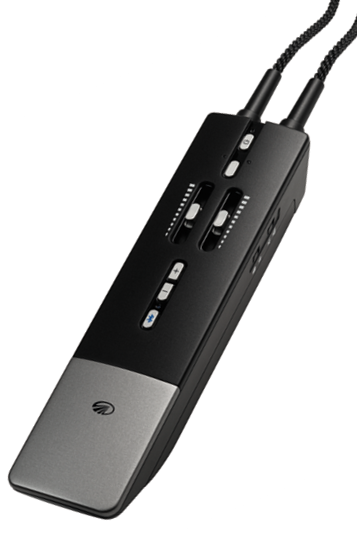 This differs from most ANR headsets which target narrow frequency bands for noise cancellation. These bands correspond with the sound produced in your average airplane – like what would be expected from a piston engine turning at 2000-2500RPM or a turbine engine. What does this mean for the pilot? It means the PFX should be more effective at cancelling out some noises that traditional ANR headsets cannot touch. Examples of these noises are the chaotic vortices that fly off of the propellor and hit the windshield or the noises induced by vibration of the airframe itself. It also means that the PFX should be capable of cancelling out the additional noises caused by an imperfect earcup seal. This is a huge plus for me – no longer do you have to wear your sunglasses in a weird orientation to avoid interrupting the earcup seal! It should also provide notably better noise cancellation for those who wear prescription glasses. At it’s price range, the Lightspeed PFX directly competes in the high-end headset market. If you recall from our review of its sister model, the Zulu 3 – we think that the Lightspeed headsets are already beating this market out with their superior build quality, warranty and feature set. The one area the Zulu 3 fell short was its noice cancellation ability and, no surprise, the PFX addresses this. What sets this headset apart from other high-end headsets? We really like the all metal build quality for one. The headstrap adjust-ability is also the best on the market, in our opinion. The Lightspeed FlightLink feature is a standout for those pilots looking to improve their radio communication skills or wanting to film videos with cockpit sounds – you can’t get this feature on any other headset. The big downside of the Lightspeed PFX is also the source of it’s advantages – the controller box. This thing is massive on the PFX. It takes 4 batteries, compared to the 2 batteries required in comparable headsets. It also drains those 4 batteries much faster and weighs more to boot – twice as fast as the Zulu 3, for example. If you are flying a plane with a LEMO connector with panel power, this probably isn’t a concern. For the rest of us, it is definitely worth consideration when deciding between this headset and the Bose A20, for example. The Zulu PFX shares a lot in common in appearance with the Zulu 3. 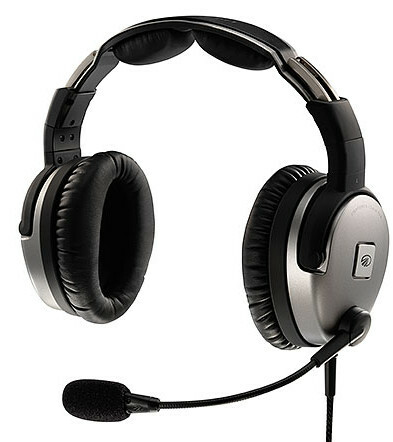 If you are in the market for a premium headset, the Zulu PFX is a top-notch competitor. It offers industry leading build-quality, features and warranty with top notch ANR to boot. The only thing you’ll need to get around is the extra battery requirements of the headset. If you have a LEMO connection with plane power, this is easily our top pick for the premium headset market.